A new documentary and nearly 4 hours of live music will make up a special Rolling Stones Festival to be held in King's Heath on Saturday 14 September to celebrate the 50th Anniversary of their legendary performance at the former Ritz Ballroom on YorK Road. Formed in London in 1962 when Brian Jones met up with childhood friends Mick Jagger and Keith Richards, the Rolling Stones started out playing blues music taking their name from the title of a song by Muddy Waters. For the whole of 1962 they played exclusively in the London area. But all that began to change on 7 June 1963 with the release of their first single a cover of Chuck Berry's "Come On". Just a few months later on 14 September 1963 they played one of their first gigs outside London and their first ever in Birmingham at the Ritz Ballroom. 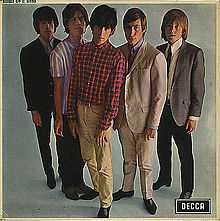 Joining them on the tiny stage were Bill Wyman and Charlie Watts. Later the same night they went on to perform at The Plaza in Old Hill another of Ma and Pa Regan's clubs. The next evening they had to return to London to play at The Great Pop Prom in London at the Royal Albert Hall! Centred around top local musicians performing their favourite Rolling Stones songs from 3 p.m. to 7 p.m at Fletchers Bar on York Road directly opposite the former balllroom, the Festival will also include the screening at 1 p.m of a new documentary about the early days of the group plus recorded music and many specially invited guests. Space is limited for this historic event so it is really advisable to book in advance. Any remaining tickets will cost £5 on the day. Local residents Bob Prew and Ken Whittaker who are organising the event said "The Rolling Stones are one of the greatest rock 'n' roll bands of all time and it is amazing to think that they once played in King's Heath. We are determined to keep the spirit of The Ritz alive despite the fire that destoyed the building in March. We have already held some great events this year to celebrate performances by The Beatles, The Kinks and Dusty Springfield but want as many Stones fans as possible to come to King's Heath on 14 Sept to make this the biggest and best so far". Their love of 1960's pop music has just brought two Coventry University students their music degrees. And it will now also be bringing them to King's Heath to perform at our “Girls on Top” session on Sunday 4 August to celebrate the great female pop stars of the 1960's. 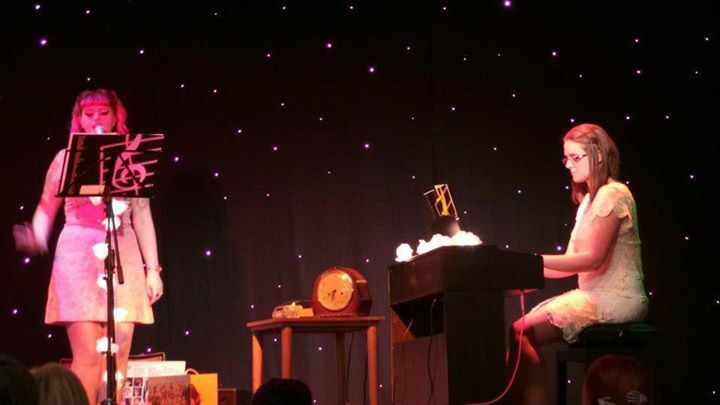 Vocalist Melissa Gill aged 21 and pianist Hannah Maydwell aged 24 formed their duo “That Sixties Vibe” as part of their final year of studies for their Music Composition Degree. They said “We recently organised a Charity Night and a member of the audience told us they had read in the Birmingham Mail that young up and coming musicians were needed for a concert in King's Heath. We thought it would be a fantastic opportunity for us and we are very excited that we have been given the opportunity to perform at such a great event”. King's Heath Walk of Fame Organisers Bob Prew and Ken Whittaker said “We now have a great line-up of young talent for our show. Present day female stars like Adele and Duffy owe a great deal to the trail blazing role played in the 1960's by female singers such as Dusty Springfield and Sandie Shaw. We are thrilled that Melissa and Hannah and a whole new generation want to continue to celebrate the musical legacy of the 1960's”. That Sixties Vibe will be joined by other young female singers including Jo Rose and Barni Scott in a 3 hour show compered by top comedienne Sheila M as seen on Sky TV . And young male musicians like Robert Lane will also be paying homage to the 1960's female stars. Starting at 4 p.m. the “Girls On Top” show will take place at Fletchers in King's Heath as part of our series of sessions to commemorate the heritage of the Ritz Ballroom where many of the 1960's pop legends performed before they were famous. including Dusty Springfield, Sandie Shaw, Helen Shapiro and Cilla Black. An article by Jasbir Authi of the Birmingham Mail entitled, "Could you be the star of 60s-style all-girl gig?" can be found by clicking here. A citywide search has been launched to find new musical talent to perform at our event to showcase and celebrate the work of the female legends of music. Starting at 4 p.m. the 3 hour event on Sunday 4 August, at Fletchers in King's Heath, is the latest in our series of sessions to commemorate the heritage of the Ritz Ballroom where many of the 1960's pop legends performed before they were famous.Dusty Springfield, Sandie Shaw, Helen Shapiro and Cilla Black all appeared at the former Ritz Ballroom in King's Heath at the start of their careers. 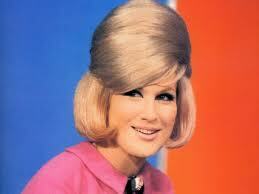 Dusty Springfield (below) was an icon of the swinging 60's who had 16 Top 10 singles including “I Only Want To Be With You”, “You Don't Have To Say You Love Me” and “Son of A Preacher Man that was to be hit for a second time after featuring in the cult film “Pulp Fiction”. Her soul album “Dusty in Memphis” has frequently been voted one of the greatest albums of all time. She sadly died in 1999 but her musical legacy continues to live on. 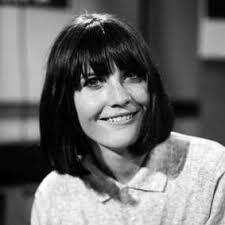 Sandie Shaw (topmost image, right) was renowned for performing barefoot and had a string of hits including “(Always) Something There To Remind Me”, “Girl Don't Come”, “Long Live Love” and “Puppet On A String” with which she won the European Song Contest despite allegedly not liking the song! 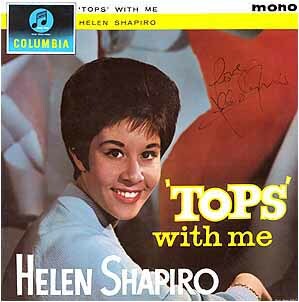 Helen Shapiro (bottom image) was only 14 when she had her first hit single, “Don't Treat Me Like A Child” which was followed by the No. 1 hits “Walking Back To Happiness” and “You Don't Know”. She topped the bill when The Beatles made their first nationwide tour. Lennon and McCartney then wrote the song “Misery” for her but her record company refused to allow her to record it. Cilla Black was the biggest selling act from Liverpool in the1960's after The Beatles. She had eleven Top Ten hits including “Anyone Who Had A Heart” and “You're My World”. Any remaining tickets will cost £3 on the door. Organisers Bob Prew and Ken Whittaker said, “We already have some great musicians lined up to play but would like to hear from a few more. We were delighted that over 100 fans turned up at our first Lazy Sunday Afternoon music session celebrating 1960's pop icons The Kinks and hope for an even better turn out on 4 Aug to celebrate the major contribution girl singers made to the music of the era. We are determined to keep the spirit of the Ritz Ballroom alive". Summer of 1960's Music Nostalgia planned despite Ritz Ballroom fire! "Fire at Kings Heath venue where The Beatles once played"